Welcome to the Tyareh website. The purpose of this website is twofold: first is to educate those interested in the history of the formidable independent Assyrian tribes of Upper and Lower Tyareh and second, to combat the distortion or rewriting of the history of that region by Kurds, Turks and others whose current aim is to undermine or eradicate any traces of Assyrian presence in Hakkari (Northern Assyria) and Northern Iraq (Assyrian Heartland). For the last two hundred years, the Tyareh tribes played and continue to play a powerful and disproportionate role in defending our nation whether on the battlefield or in the political arena, therefore the history of Tyareh is an integral part of Assyrian history that must be studied and passed down to the next generation of Assyrians. Unfortunately, the contributions of the Tyareh tribes to the Assyrian cause have been diminished, swept under the rug or, at best, acknowledged yet maligned by various pernicious pseudo “Historians”. This website, which is a part of a larger ongoing project to document, translate and archive the history of Tyareh, will hopefully serve as a remedy to that problem and most importantly will be a great educational tool for our youth. The idea for this project was born out of the Tyareh blog that I had created in 2009. The information on Tyareh.org is based on historical facts which are derived from comprehensive academic research. Please be sure to visit the website regularly for constant updates. Support the Restore Nineveh Foundation to ensure the continuity of Assyrians in their native lands and help the victims of genocide. We stand in solidarity with our Assyrian brothers and sisters who are under attack in Khabour, Syria. For the men and women protecting the Assyrian Khabour villages and those that are defending the town of Tel Tammer; your ancestors are looking at you with pride. Remember Malik Ismail I, who in 1843, along with 1800 fighters of Upper Tyareh fought to the last man against Bader Khan Beg's forces of 80,000 Kurds whose sole aim was to eradicate the Assyrians of Hakkari. Above: The Lion of Khabour Dawid Antar Jendo of Tel Tammer, Commander of the Khabour Assyrian Forces, tortured and cowardly murdered by the Kurdish YPG henchmen on April 22nd, 2015. The YPG Kurdish Forces in Syria are supposedly "allies" of the Assyrians. 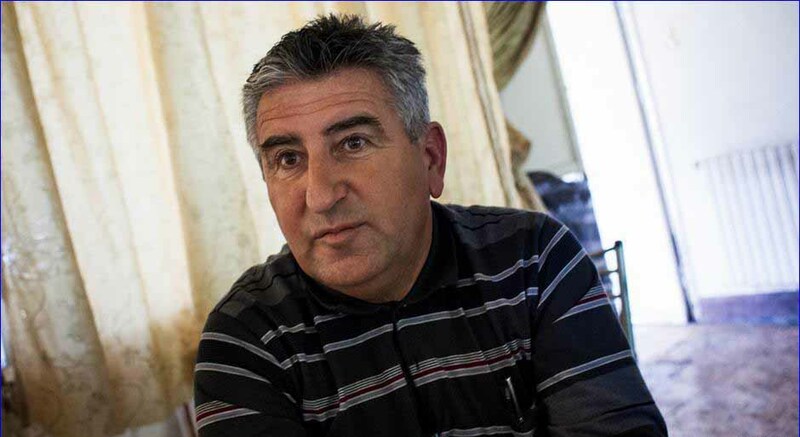 Above: The Lion of Khabour Elias Nasser of Tel Tammer, Commander of the Khabour Assyrian Forces, tortured and cowardly shot four times at point blank by Kurdish YPG henchmen on April 22nd, 2015 along with his comrade Dawid Antar Jendo who did not survive. "American Mesopotamian Organization Exposes Murder of Assyrian Leader in Syria"
"Kurdish Betrayal of Assyrians Continues"